For exceptional leaders, competing in today’s ever-changing global work environment calls for constant diversification and learning of new skills. UKZN’s Graduate School of Business and Leadership can help you succeed. For exceptional leaders, competing in today’s ever-changing global work environment calls for constant diversification and learning of new skills. 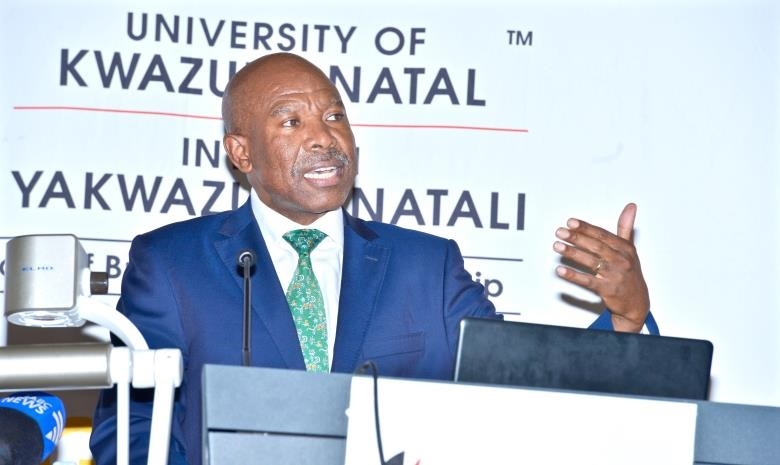 No one understands this better than the University KwaZulu-Natal’s (UKZN) Graduate School of Business and Leadership (GSB&L) hence, our mission is to develop well rounded, multi skilled professionals who are capable of adapting in any industry or better yet, able to carve their own path. Our academics are chosen from the best available and have diverse backgrounds, while our students represent more than five countries and have different academic backgrounds and work experience. Our programmes are delivered through evening classes and block release sessions to accommodate candidates who are holding full-time jobs. The purpose of the doctoral education offered by the School is to produce specialists who will lead in their fields of research and make an active intellectual contribution to the complex organisational, financial and technological issues of an increasingly challenging business world. The primary purpose of the Master of Business Administration (MBA) is to educate and train graduates who can contribute to the development of knowledge such that they are prepared for advanced and specialised professional employment, with the capacity for critically aware and innovative leadership in a particular field. This programme is by supervised research and can be completed through one year of full-time study or two years’ part-time study. Students following the coursework route are offered a programme that consists of four one-week intensive modular sessions in the first year and a further two sessions in their second year. 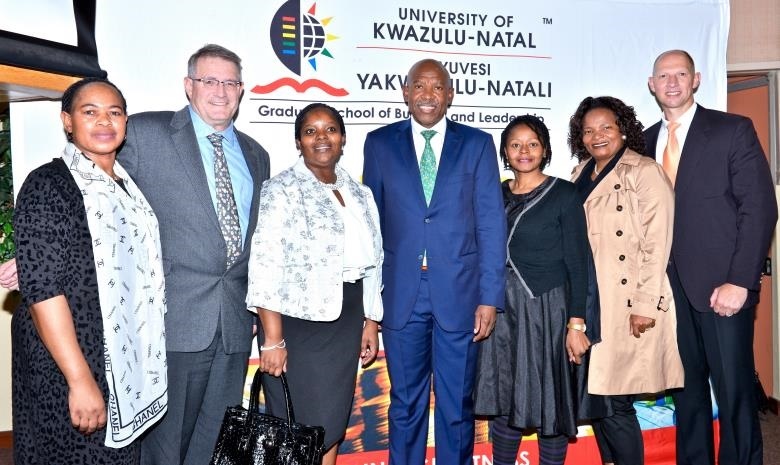 Through its partnership with the KwaZulu-Natal Department of Economic Development, Tourism and Environmental Affairs (EDTEA), the GSB&L offers postgraduate programmes aimed at promoting RLED research and learning, building critical thinking in relation to RLED, continuing professional development, creating a professional network of RLED graduates, and strengthening the implementation practice of RLED institutions. The purpose of the Postgraduate Diploma in Business Management is to equip candidates with broad-based theoretical and practical knowledge and skills in the field of management. It will enhance their capacity for lifelong learning, which will improve their decision-making potential. Participants are typically drawn from provincial, district and local level in government, business and civil society organisations. Existing LED practitioners based within key LED institutions in provincial government, districts and municipalities should apply. Members of civil society organisations addressing economic development, and those working on economic development from within the private sector, would also find the programme useful. 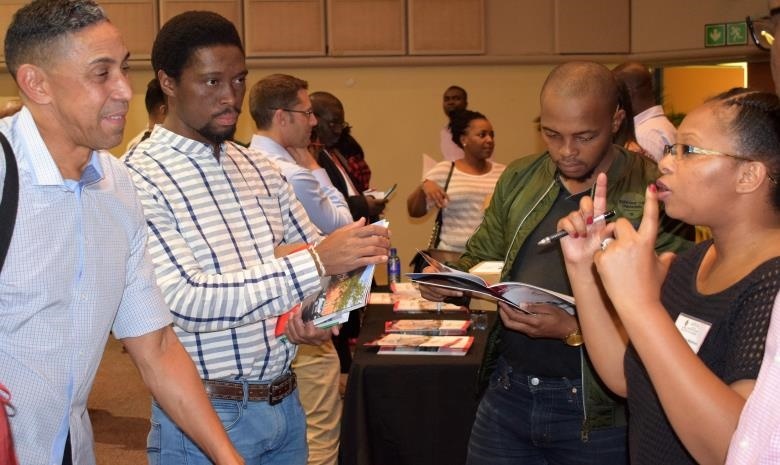 The programme is ideally suited for working professionals in organisational leadership positions who are required to work in the dynamic and complex environment of contemporary Africa and its transition agenda. The programme is aligned with the School’s mission to create African business leaders through fostering and facilitating the economic development of our country and our continent. With high standards, many flexible choices and glowing recommendations from past and present students, UKZN is an easy choice for your Postgraduate qualification. Applications for 2018 are now open! Closing date for applications: 31 October 2017. To find out more and to apply online, visit gsbl.ukzn.ac.za.